Add Color to Your Meals! Fruits and vegetables add color, texture and taste to just about any dish. They are great by themselves or make a smart addition to any meal. Eating more fruits and vegetables is a worthwhile goal. Eating a variety of different colors every day is a new way of thinking about meeting the goal. Red fruits and vegetables contain essential compounds that promote heart health, healthy aging and memory, and urinary tract health. They also reduce the risk of some cancers. Make a pot of vegetarian spaghetti sauce to fill your week with the benefits of red fruits and vegetables. Try adding some red fruits and vegetables to your favorite dishes today! Green fruits and vegetables contain varying amounts of potent phytochemicals, such as lutein and indoles, as well as varying amounts of vitamins A, C, E and K, beta-carotene and B vitamins. These substances can help lower cancer risk, improve eye health, and keep bones and teeth strong. Vitamin K, perhaps the star of all vitamins found in green vegetables, is important for blood clotting, keeping bones strong, and may help prevent hardening of the arteries, which can cause a heart attack. When selecting green vegetables, keep in mind that the darker the green, the more nutrients they contain. These nutrient all-stars offer a lot of antioxidants, vitamins, fiber and phytonutrients, which are good for your skin, eyes and heart, and may decrease your risk of cancer. 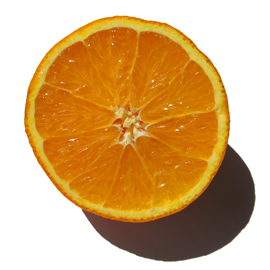 Beta-carotene is a powerful antioxidant. It gives these sunny fruits and vegetables their bright color. Experts say beta-carotene is not only good for eye health, but it can also delay loss of mental sharpness and protect skin from sun damage. Choose at least one orange fruit or vegetable every day to get the folate and vitamin A your body needs to maintain good health. These vibrant foods get their color from natural plant pigments called “anthocyanins” which have been shown to reduce the risk of cancer, stroke and heart disease. Anthocyanins in blueberries, grapes and raisins act as powerful antioxidants that protect cells from damage. Other studies have shown that eating more blueberries is linked with improved memory function and healthy aging.